I waited till the end of the Tour de Fleece to wind anything onto my swift, and - whoa. Doing it all in one sitting I could really see how I progressed. 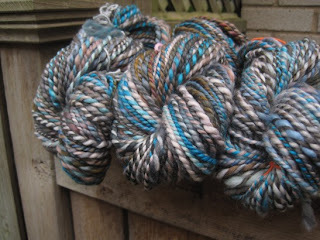 but very soft and I think potentially functional in a very weird sort of cowl. Quirky was next. 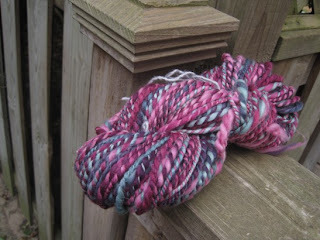 I'd spun almost half of it on my spindle where I had pretty good control, so it came out a bit better once plied. Okay... maybe 'a bit' is generous. Another kooky cowl, I think. 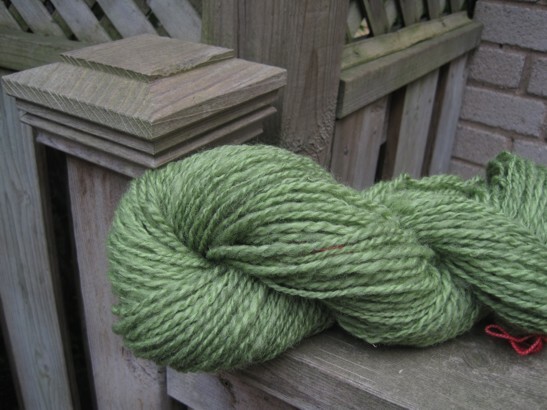 After that I decided I needed to try a different fiber so I switched to my Polwarth, which came out very bulky and still a bit overspun in places, but a lot more consistent. I'm hoping to persuade this lot into a shawl; each skein is a slightly different weight but I might be able to work gradually through such that this flaw looks deliberate. When I was finished all that, things started to get better. In the car, I spun my plain ol' green wool on a spindle, and when I wasn't I spun it on my wheel, and the plied result of both looks downright normal. After I got the green wool skeined, as you may recall, I got obsessed with spinning the lovely brown wool I couldn't work with on the wheel when I first started learning; I spent exactly one evening delightedly spinning, plying, and blocking the 85 or so grams I had, and though the colours look washed out here I can assure you these two yarns are going to make something beautiful together. 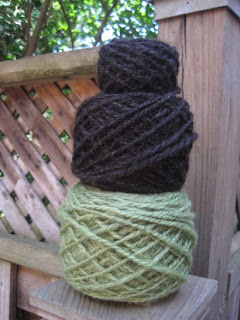 And finally - between bouts of green, I was working on Foxymaple. 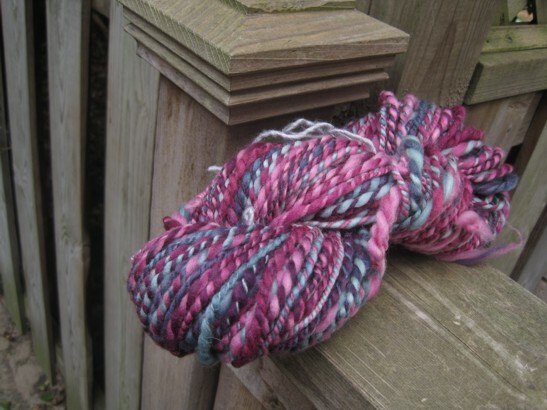 Four singles, plied together and requiring me to knot the join because my bobbin is just too small and I didn't want to lose my place in the colour shifts. 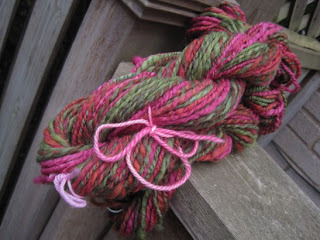 One skein is very slightly bulkier than the other - totally work-with-able - and I'm so happy with how the colours worked out. 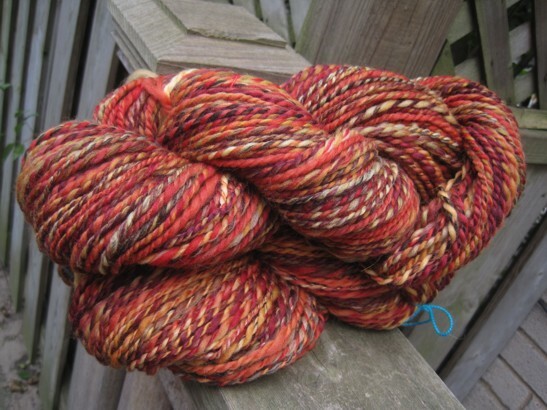 I'm using it for one of my Escapist shawls and it's looking fabulous. I'll show you Part One next week!